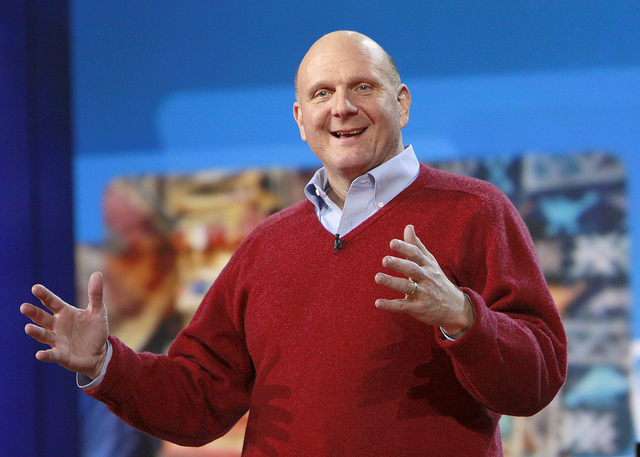 Microsoft CEO Steve Ballmer should step down and “give someone else a chance” according to hedge fund manager David Einhorn, pointing to the drastic drop in the Redmond-based company’s stock over the past decade. Einhorn said that Microsoft’s chief executive is “stuck in the past” and his presence inside the company is the “biggest overhang on Microsoft stock” whilst speaking at the Ira Sohn Investment Research Conference in New York on Wednesday. Ironically, Microsoft’s stock – which has barely risen or fallen in over a decade – actually gained 0.87 percent in after-hours trading after the outspoken hedge fund manager’s comments, the most of any industry average industrial component on the Dow Jones. The comments come at an important time for Microsoft, which recently saw it being overtaken by Apple and IBM when it once was the largest U.S company by market value. The company recently announced its plans for its mobile ecosystem but analysts have criticised the corporation’s failure to capitalise on the growth of Internet and tablet markets. To illustrate the point, Reuters reports that if an investor bought $100,000 of Microsoft stock a decade ago would now only have $69,000, such is the decline in the company’s portfolio. Einhorn is best known for his early insights into the Lehman Brothers financial collapse in 2008. Microsoft shares gained 4 cents in normal trading on Wednesday, likely helped by its Windows Phone announcements the following day. It’s stock closed another 12 cents higher at $24.31 in after-hours activity.